Jan Sweelinck wasn’t a mover shaker in terms of his career – he maintained one post his entire career, as organist of the Oude Kerk (Old Church) in Amsterdam around 1577 when he was 15. He may stayed in one spot geographically, but musically, did he move and shake over the keyboard! As a composer, organist, and teacher, he was producing music that linked the Renaissance to the Baroque era, and is considered one of the first major keyboard composers in Europe. Sweelinck was an organ consultant, travelling to various cities to inspect organs and advise on building and restoring them. He also became a famous organ teacher, and his students were considered the standard b y which to be compared. As a composer, Sweelinck often improvised things freely at the keys, and luckily for us, wrote many of them down; about 70 of his keyboard works have survived. While his choral music isn’t as splashy as his keyboard music, there is still a strong rhythmic element to them, and a lot of contrapuntal writing (in which the same melody overlaps, forming complex layers of sound, while all sounding beautiful, which is what JS Bach did so masterfully with his fugues). JS Bach must have heard some of Sweelinck’s works and been influenced by them. It’s hard to not mention Bach without thinking of Canadian pianist Glenn Gould, and here is some rare footage of Glenn Gould not playing Bach. Here he plays Sweelinck’s “Fantasia”. 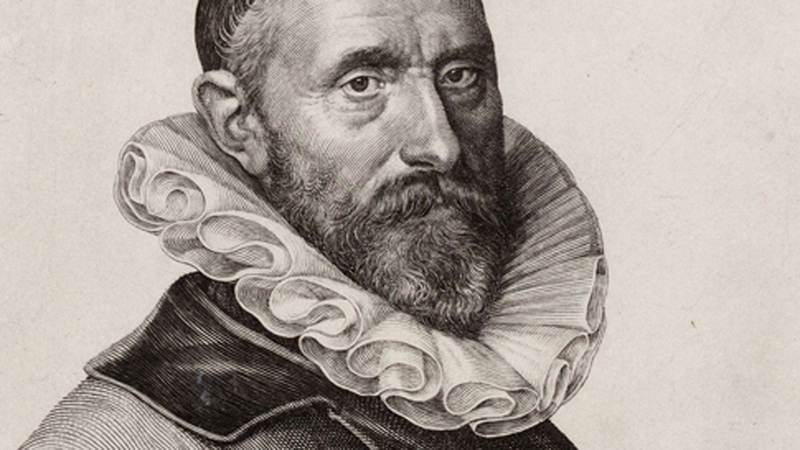 Jan Pieterszoon Sweelinck was born April or May, 1562 in Deventer, Netherlands, and died October 16, 1621, in Amsterdam.